At Xara Skin Clinic we like to give you choose in your facial treatments. As well as stocking our fantastic Xara Skin Clinic clinic strength range of products, we stock Guinot, Heliabrine and Payot. We are experts at giving you world famous products such as Guinot and combining it with our famous treatments. Or we can do a Guinot facial by the Guinot book. You choose, we can give you a custom facial, just for you and for your skin. When you come to Xara Skin Clinic you are in control of your treatment. We will insure you get the best effective treatment. If you are a Heliabrine facial person, we offer you your favorite product. We can offer one of our many world class facials using your favorite products or do it by the book. Either way you will get a fantastic facial. You might want to combine your facial with light, laser, RF or Thermagie-CPT. If for you a Payot facial is the only way to go, not problem. we can supply you with w world class facial to go with world class products. We can do it by the Payot book, combine it with one of our facials or do a custom facial. You are the one in charge, all we can guarantee is you will get a great facial. 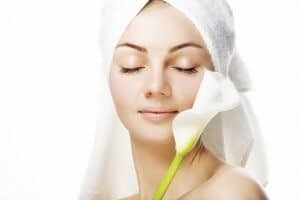 Talk to us today about getting your facial using our exclusive products or other famous products in a Guinot, Heliabrine or Payot facial treatment today.